(ALBANY, N.Y.) – Seth Rogovoy, termed “American Jewry’s greatest Dylan scholar” by Religion News Service and the author of “Bob Dylan: Prophet Mystic Poet,” will present “The Kabbalah of Bob Dylan” – a multimedia program exploring the Jewish influences in the life and work of the recent Nobel Prize winner – at B’nai Sholom Reform Congregation in Albany, on Saturday, October 21, at 7:30 pm. There will also be a live music component to the event, featuring Seth Rogovoy as well as an ensemble from the congregation. The temple is located at 420 Whitehall Road, Albany; tickets are $10, available at the door. Books will be available for purchase and signing after the presentation. 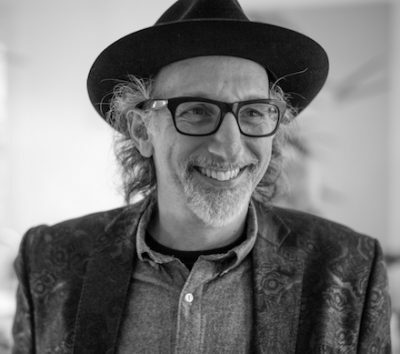 Along the way, the program will examine the Minnesota-born folksinger’s deeply religious and cultural upbringing; his commitment to Jewish practice and causes; and his decades-long connection to the Jewish outreach organization Chabad. Attendees will learn that Dylan grew up in a Yiddish-speaking home in a family that was at the very nexus of his hometown’s Jewish community; how classic Dylan songs including “Blowin’ in the Wind,” “All Along the Watchtower,” and “Forever Young” have their lyrical roots in the words of prophets Ezekiel and Isaiah and in Jewish liturgy; and view rare video footage of Dylan performing Jewish music and quoting from the Book of Psalms. In addition, the audience will be treated to a concert of Dylan’s Jewish-influenced songs performed by resident B’nai Sholom folkies Rabbi Don Cashman and Phil Teumim and perhaps a special guest or two. Author of “Bob Dylan: Prophet Mystic Poet” (Scribner, 2009), Rogovoy is a familiar name to public radio listeners and Berkshire readers. He was a music critic and arts writer at the Berkshire Eagle for 16 years, was founding editor of Berkshire Living magazine, and his weekly cultural commentary has been heard on WAMC Northeast Public Radio for more than two decades. Rogovoy also is an expert on klezmer, having penned “The Essential Klezmer: A Music Lover’s Guide to Jewish Roots and Soul Music” (Algonquin, 2000), the all-time best-selling guide to the music. Rogovoy was awarded the 2016 Simon Rockower Award from the American Jewish Press Association for excellence in arts and criticism for his portrait of musician Leonard Cohen, published in the April/May 2015 issue of Hadassah Magazine. Rogovoy is a contributing editor to the English language edition of the Forward, for which he has written for more than 25 years. His work has been published in Haaretz (Israel), Jewish Press (U.K.), Jewish Quarterly (U.K.), Tablet, Pakn Treger, Berkshire Jewish Voice, Newsday, Boston Phoenix, Chronogram, Woodstock Times, and others. Rogovoy’s books will be available for purchase and signing at the October 21 program. (WOODSTOCK, N.Y.) The second annual Concert for The John Herald Fund and Family of Woodstock at Harmony Music (52 Mill Hill Rd. ), takes place on Saturday, January 7, 2012, at 7 p.m., to raise money for artists in need of funds for some of life’s essentials. Hosted by Charles Lyonhart and Brian Hollander, the concert – rescheduled after a freak snowstorm caused a cancellation last October 29 — features the Sunburst Brothers; Seth Rogovoy; the Saturday Night Bluegrass Band; the Princes of Serendip; Charles Lyonhart with George Quinn, T.G. Vannini and Chris Zaloom; and surprise special guests. With Hurricane Irene leaving many people homeless, without food, money for their medical bills and other necessities of life and with unemployment still rising, the fund memorializes bluegrass-folk legend John Herald, who unfortunately was plagued by poverty in the final years of his life, by raising money for musicians in need in his name. John Herald, a native of New York City, was a fixture on the Greenwich Village folk scene of the late-1950s and early-‘60s. He was a founding member of the Greenbriar Boys, along with Bob Yellin and Eric Weissberg, and played lead guitar and sang lead vocals for the group. It was in a support gig for the Greenbriar Boys at Gerde’s Folk City in the Village in 1961 that first garnered Bob Dylan recognition in a New York Times review by Robert Shelton. A noted songwriter, Herald’s songs were performed by Linda Ronstadt, Maria Muldaur, Joan Baez, and Peter, Paul and Mary. Herald lived in the Woodstock area for many years. He died at his home in West Hurley, N.Y., in 2005.